Grand Marina Pranburi offers investment properties on an idyllic beach front location near Hua Hin in the Gulf of Thailand. Located on a unique beach front land offering an easy access to the sea through a natural channel, Grand Marina Pranburi are building a unique real estate complex with 11 low rise buildings, a first class marina and exceptional recreational and commercial activities. 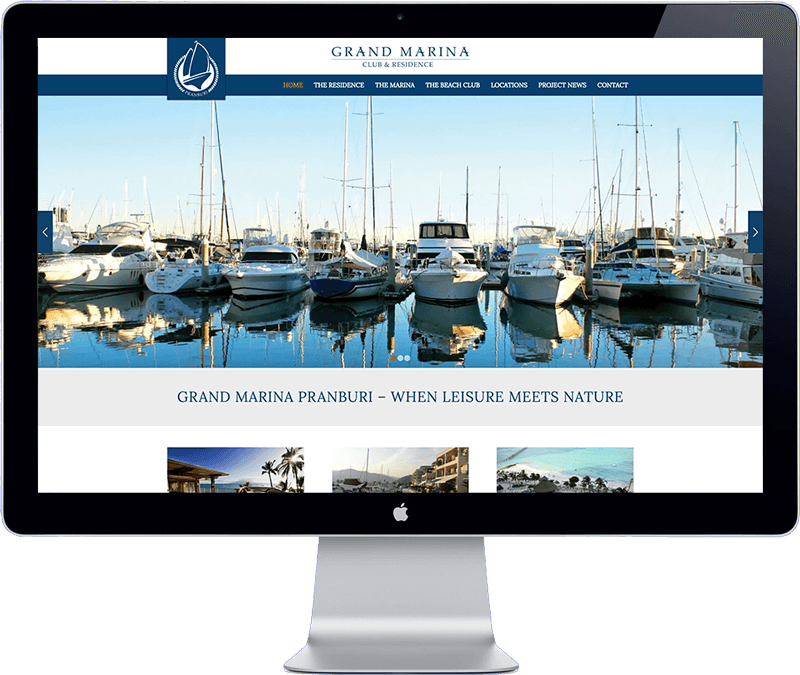 The marketing manager of Grand Marina Pranburi contacted me through my website with the request for a website for their new company. After our initial talk over Skype we drafted a plan together. The new website reflects their exclusive real estate project, it informs visitors about their plans and has the ability to publish company news in a blog format. The website is easy to updated, optimized for search engines (SEO), loads fast and is secure. The website has been developed with WordPress Content Management System. After the website development was completed they signed up for my website maintenance plan.